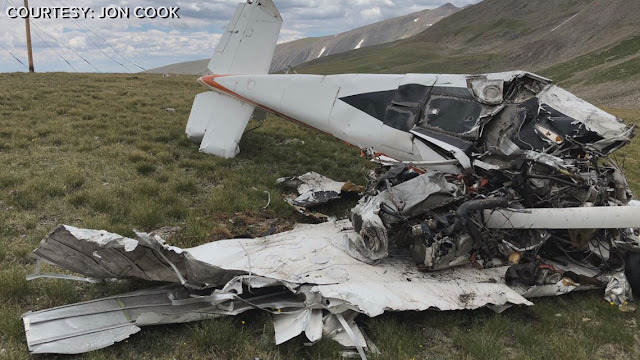 On April 2, 2018, a Cessna 210A airplane, N68640, crashed into mountainous terrain 5 miles west of Alma, Colorado. The airplane was substantially damaged. The pilot was fatally injured. Visual meteorological conditions prevailed at the time of the accident. The flight was conducted under the provisions of 14 Code of Federal Regulations Part 91 without a flight plan. The flight departed Erie Municipal Airport (KEIK) Erie, Colorado, about 0815, and was en route to Richmond Municipal Airport (KRIF) Richmond, Utah. The airplane was initially reported missing and an ALNOT was subsequently issued on April 2, 2018, at 1702. The wreckage of the airplane was found by hikers on July 13, 2018. The accident site was located in high, mountainous terrain, at an elevation of 12,700 ft msl. The rocky terrain was vegetated with short grass and wildflowers. A set of powerlines, running east/west, was located about 100 ft south of the main wreckage. The main wreckage included the engine, both wings, the fuselage, and empennage. The wreckage came to rest on its left side and the nose of the airplane was oriented on a heading of 270°. Those who may have information that might be relevant to the National Transportation Safety Board investigation may contact them by email eyewitnessreport@ntsb.gov, and any friends and family who want to contact investigators about the accident should emailassistance@ntsb.gov. KUSA — Two men who were four-wheeling just outside of Leadville Friday helped solve a three-month-long mystery and bring closure to an Oregon pilot’s family and the first responders who have been looking for him since April. Pat Wester and his son-in-law Jon Cook were on a day trip on Mosquito Pass when something caught their eyes. What he saw was the wreckage of a Cessna 210 single-engine plane that went off the radar on April. It was traveling between the Erie Municipal Airport and Richfield, Utah. The lone pilot, 67-year-old Quentin Aschoff of Bend, Oregon, did not have a flight plan, and the plane did not have an operating transponder. Search and rescue crews looked for him for nearly two weeks to no avail. During the initial search, 10 aircraft scoured 120 square miles of land trying to find the missing pilot and his plane. That search concentrated around Kenosha Pass and along Interstate 70 to Copper Mountain, partly because Aschoff didn't file a flight plan. 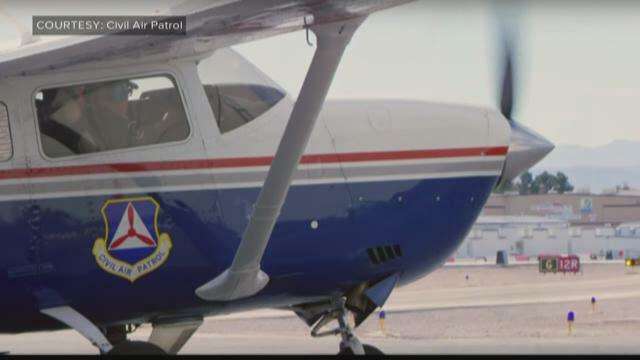 "We searched with 24 sorties, 10 aircraft, all the way to the Utah border," said Civil Air Patrol Lt. Col. Mike Daniels. The morning Aschoff disappeared, there was a snowstorm in the mountains, with wind gusts 40 to 50 miles per hour. “It looked like the tail had, kind of, folded back on the rest of the plane from an impact standpoint, and said ‘this looks bad, there’s no way somebody survived this,’” Cook said. Aschoff’s body was removed from the plane and identified using fingerprints on Friday. "We feel that we're part of that family searching for one of their own, and when we're not able to find the aircraft and the individual, it's quite disheartening," said Daniels. "However, it does bring closure to know that we did finally find the aircraft through these hikers and now the family knows what happened." 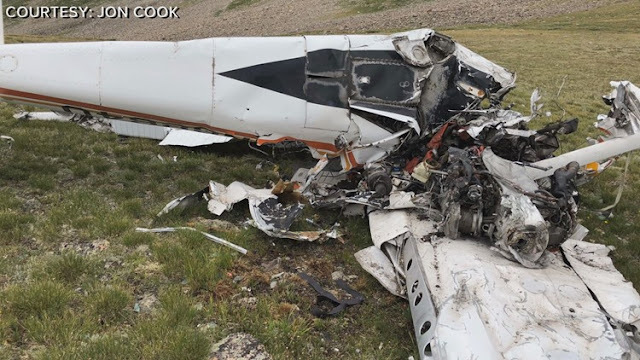 The search for a plane that went missing during a flight from Erie to Utah, has been suspended, with rescue crews finding no sign of the plane after two weeks of searching. The pilot, identified Friday as Quentin Aschoff, 67, of Bend, Oregon, took off from Erie at 8 a.m. in a Cessna 210 and was scheduled to arrive in Richfield, Utah, at around 11:30 a.m. Richfield is about 225 miles west of Grand Junction. According to a release from the Colorado wing of the Civil Air Patrol, Aschoff was planning on following Interstate 70 but, according to radar, diverted east after reaching the Loveland Pass and began following U.S. 285. 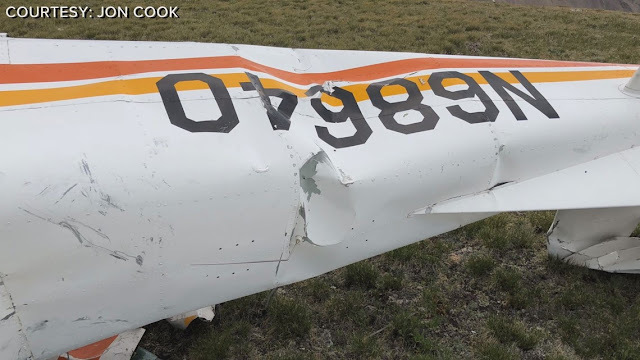 The last radar contact with the plane was near Grant, Colorado, and cell phone signals ceased about 30 minutes after that. The plane did not have an operating transponder and Aschoff did not file a flight plan, according to Civil Air Patrol Lt. Col. Mike Daniels. Civil Air Patrol aircrews flew 24 searches with 10 aircraft, covering a search area from the last radar contact to the Utah border, with the search concentrated around the ridges north and northwest of South Park, the routes between Kenosha Pass and I-70 at Silverton and Copper Mountain. Searchers encountered wind and snow in the search area, and at one point had to suspend the search due to weather.